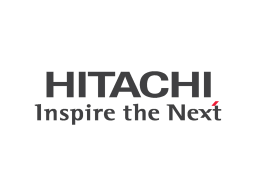 Hitachi Insight Group is dedicated to driving business and societal transformation through digitalization. Our solutions are powered by connected intelligence from the Internet of Things, delivering actionable insights that support better decision-making, exceptional outcomes and smarter, safer, healthier, more efficient societies. Leveraging Hitachi's rich industrial heritage and extensive expertise in both operational and information technologies, Hitachi Insight Group serves public and private sector customers across three market categories: Smart City, Energy IoT and Industrial IoT. The group is based in Santa Clara, CA, USA, with operations worldwide.